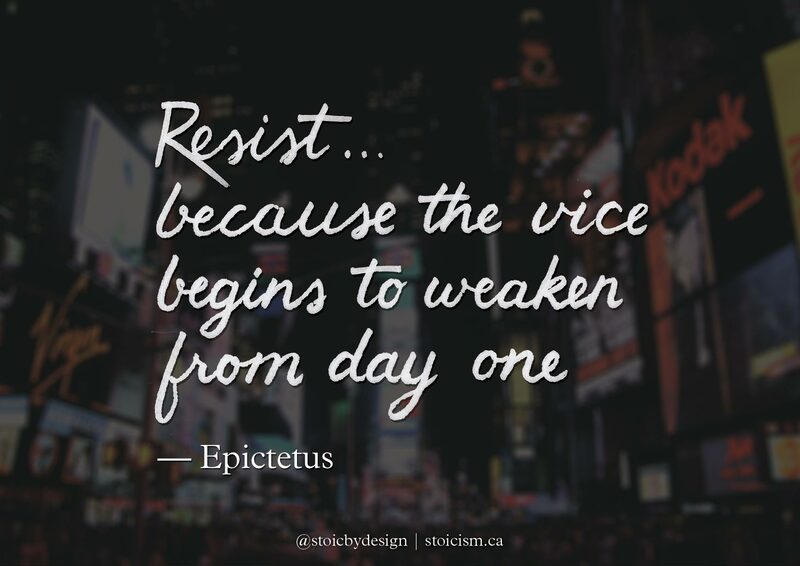 Stoic Week 2015 Day 4. Virtue. In Epictetus’ quote for today’s theme of virtue, I chose to highlight this particular excerpt because it’s important to remember that the small positive actions we take daily are significant. They keep us moving forward, and though resisting eating my kids’ Halloween candy isn’t worthy of awards or praise, it is still good practice of the virtue of temperance, or self discipline. Leave a comment below to share your feelings about this quote.